It’s time to contribute my little share to all the websites out there telling you how to learn Japanese, which textbooks to buy and which resources to use. I’m just a beginner myself but tried a lot of stuff, gave up twice and then started again with a different approach. There are a couple of things I want to make clear from the beginning which really got on my nerves reading different blogs trying to teach you how to learn Japanese – There are multiple ways to achieve your goal – There are many different sources which offer great ways to learn Japanese – If you like something, stick with it – I’m nowhere near the point where I would say that the stuff I’m doing and using for my Japanese studies is the perfect way to go. But it’s the right stuff for me and maybe for you too. Just some friendly tips from one Nerd to another which may save you a lot of time and money! Revisited: 24.12.2013 I thought the time was right to update this page a little. Since then the ways and tools which I use to learn Japanese have changed and why not share the good stuff with you. Revisited: 20.08.2014 It’s a time again for a little update. Included Japanesepod101 and Japanese the manga way . 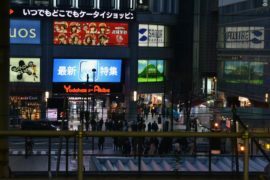 Will re-structure the article and give you my personal laid out plan how I would start learning Japanese. Revisited: 13.02.2015 Small update to the layout. Added my favorite Japanese dictionary App. Revisited: 29.09.2015 Added a section on productivity and how to stay motivated for long-term learning (and with this, success). Revisited: 16.08.2017 Added a study routine. If you buy the books through my links, I’ll get a small referral fee which will be used to buy even more awesome books for review. The two Japanese syllabaries are essential for every book and tool in this list. Hiragana is used for everything that’s not written in Kanji (the complex Chinese characters), Katakana, on the other hand, is used for “imported” English words or when Japanese want to stylise a word. I found the Dr. Moku Apps the absolute best for this purpose. It’s available for iOS, Android and on your Desktop so there should be a way for everyone to learn from the Doctor. If you prefer a physical version you should check out these here . An awesome textbook which teaches you the basics of Japanese grammar in two volumes and 25 lessons. Everything is very well explained with lots of example sentences, recurring characters who take part in various short stories and the exact right amount of vocabulary for each section. The MP3 Cd contains the text and vocabulary read out loud which is crucial to work on your listening comprehension at an early stage. It won’t get easier when you wait with this step, trust me. There is also a corresponding workbook available but there is more than enough stuff to practice within the main book itself. Still, I got both workbooks and went through them as well. Each one is accompanied by an MP3 Cd (in the same manner as the main textbook) which contains all the text and dialogue spoken by a native speaker. If you got both down and the main books, basic Japanese grammar shouldn’t be a hurdle for you anymore. To sum it up, you don’t need the workbooks but some extra practice never hurts, right. Your call. Forget Minna no Nihongo and all the other books which are just crappy for self-learners. Genki is the real deal. 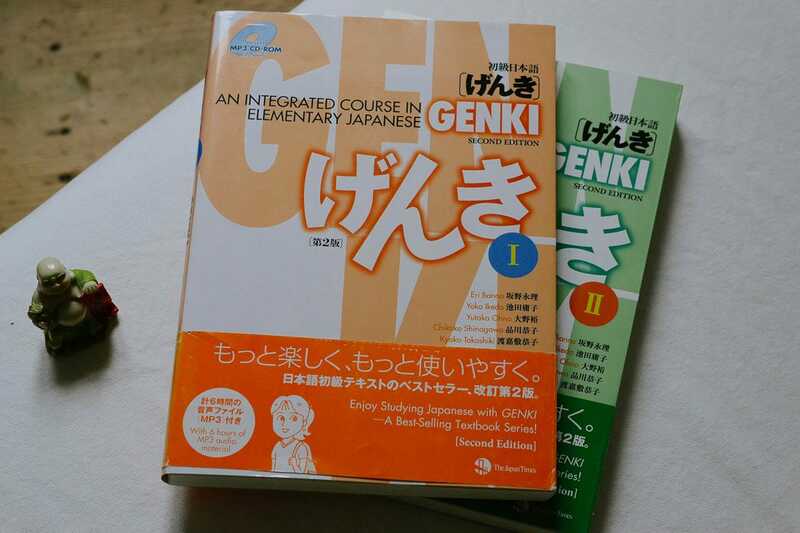 Don’t forget to buy the answer key which contains every answer for both work- and textbook for Genki I & II in one single volume. WRJ has it also in store. If you include the shipping costs from Japan, it’s not such a bad deal even if it’s more expensive. And I got the feeling you might want to get the textbooks as fast as possible. There is also a pretty neat iOS App available which lets you train conjugations. Trust me on this one – just get it while studying the mighty Genki textbooks. There will come the situation when you’re reading something and can’t make sense of a grammatical term. You’re trying to look it up in Genki but with no success. Tae Kim can’t give you a solid explanation either. But fear not, there is a great tool to help you in these moments. 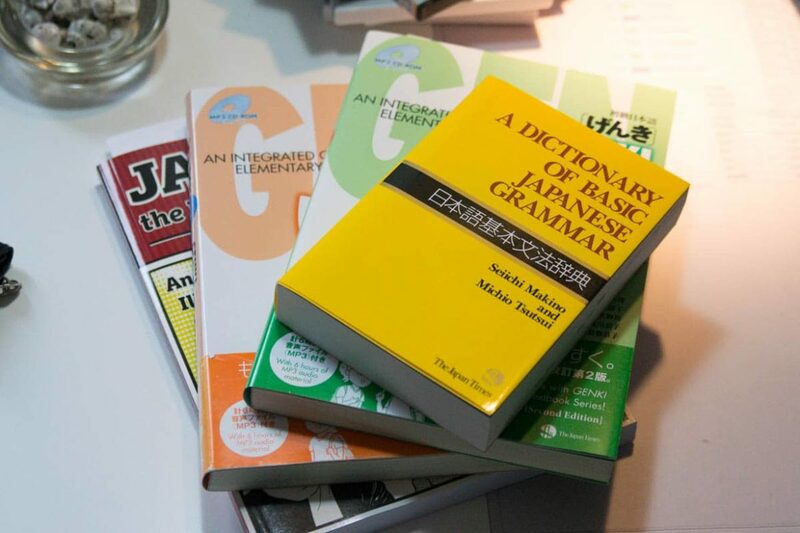 The dictionaries of Japanese grammar. It’s a series of three books published by the Japan Times (like Genki) with a beautiful layout and really well-written explanations with lots of example sentences. There is a reason why these three books are used by Japanese teaching universities all around the globe. 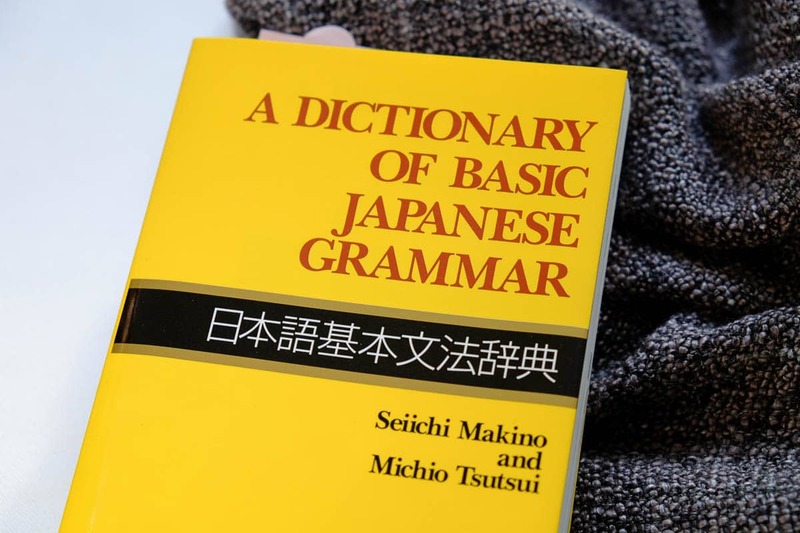 I’ve already written a more in-depth post about the first dictionary of basic Japanese grammar with a couple of pictures. Just have a look and decide for yourself if you could need one of these. For me, it’s the best thing that happened to me after Genki and a steady partner on my night table. When I signed up for TextFugu a long while back I also got a coupon for Japanesepod101. Heard a lot about the program before but never really considered subscribing because the whole site looked a bit “sketchy” to me. They just tried a little too hard to sell their stuff. But I thought to myself “if the tofugu team recommends something, it has to be good”. And it was the right decision. Before Japanesepod I even struggled with the most basic sentences in Japanese. My listening comprehension was really crap. But thanks to this little podcast it got a lot better. It’s even incredibly useful to learn some grammar on the way with example sentences and explanations right away. Every episode has a little story up front which contains a specific grammar point. After that a native speaker and the host Peter Gallante are talking about the story, make some jokes, explain and just have a very well thought out discussion. Honestly, I’m always amazed at how they make their episodes so poignant and casually at the same time. Kudos. I really love listening to Podcasts on the go and if you do so as well you may know the feeling you get over time. Like you really know these people who you’re listening to regularly. Just like a bunch of old friends you like to hang out with and chat. I get that feeling when listening to Japanesepod as well which should tell you how much I enjoy the cast. When I first started with Japanese I completely neglected any listening comprehension. It was a big mistake. You’ll never be able to really understand a language if you’re not used to the “flow”, the rhythm of that language. At least it was an immense game changer for me. Just head to their website and give it a try or read my more in-depth review of Japanesepod101 if you want to learn more about their service first. Japanesepod is sending me some coupons from time to time and I thought it would be a good idea to update the post with the new ones. After learning Hiragana & Katakana start with Genki I. I don’t think its the best idea to write your own flashcards for vocab so I would opt for a different route right away: iKnow. You train your reading ability and learn Japanese words in context. There is no better way (at least for me). The program itself is not included in this list and that’s for a reason. I had to decide between two time-consuming SRS programs. Wanikani (just look below for a detailed explanation) and iKnow. The latter one is great for vocab but not essential so I opted for WK instead. Join Japanesepod101 and start with Newbie Season 1. Use it alongside Genki but don’t try to find the same grammar points in both the podcast and the book. Just let it flow and learn from both. The beauty of this method is that you’ll eventually encounter already learned grammar points again, get a second explanation and make them really stick. Do you want to read manga in Japanese? Get this book. Not really a necessity but – If you like to read manga in Japanese or want to get to that level where you can enjoy your favorite series in Japanese – buy this book. Seriously it’s amazing. Don’t confuse it with Japanese in Mangaland. This one here teaches real written Japanese using different scenes from popular manga as examples. A little like the column which once ran in the now-defunct Mangajin magazine if some of you remember. You’ll learn a lot of useful grammatical stuff you really don’t get taught in regular textbooks. If you want to read manga – tries this book here. It helped me immensely in understanding some of the more obscure sentence enders and terms. If you work through this book I guarantee you that you’ll at least have the grammatical foundation to comfortably read manga in Japanese. Yes, it’s that awesome. Japanese Tease reader Chris recommended it to me on twitter a while ago and I’m really glad he did. Worked my way through the book and reading Japanese got a lot more easy for me afterward. All these strange sentence enders and variations I couldn’t place anywhere were described in this book. Or at least a good part of em’. Even when watching Anime to learn Japanese you’ll notice that this book here is essential. The slang remains the same no matter if you watch the shows or read the manga. I’ve already written a post about getting back to learning Japanese with WaniKani but it just had to be included here. I always wanted to write a blog where articles that matter were updated when the time was right and that’s exactly what I’m doing now. WaniKani is great. Even if you’re just making your first steps in trying to learn Japanese, learn hiragana & katakana and make yourself a WaniKani account. It starts from scratch and is a great alternative to Heisig. It’s actually the one I prefer nowadays. JT reader NinKenDo pointed out that he is actually using WaniKani in conjunction with Heisig. So that’s also an alternative. If you want to know more about WaniKani and it’s immense benefits, just read the above-linked post to the original article. But in short: You’ll learn the Kanji, learn tons of vocabulary and meet great people in the community. The best thing I did for my Japanese studies was signing up with WK. Hands down. To make studying with WaniKani even more easy I compiled a list of the extensions I use with the site to make things a little faster and more efficient. Safari is normally my go-to browser but specifically for WK, I switch to Chrome just for the sake of using all these little helpers. Heisig: Remembering the Kanji – Before WaniKani came around this was the ultimate way to learn the Kanji. The key was to break down the Chinese characters in small parts called primitives. Out of these, you make up a story that will help you memorize the meaning of each Kanji. If you got a meaning down for each Kanji you can advance to learning the different meanings. When someone asked me how he should start to learn Japanese as a self-learner these were the tips I would give him. But there is a lot of other stuff out there which is great as well. Let’s start with a classics. The infamous online Japanese textbook. If you want another shot at Japanese grammar or want to read more about a certain topic Tae Kim’s grammar guide is my go-to place. It’s free, it’s awesome and very well explained. Good stuff for beginners who like a more casual and natural approach towards grammar and always a great complement to Genki. Some are even using solely Tae Kim for their grammar needs but I wouldn’t recommend that. Not because his site isn’t great (it is) I just think that it’s a little confusing at the beginning and a little vague with his explanations sometimes as well. If you already have a foundation in Japanese you’ll greatly profit from the many example sentences and small grammatical nuances Tae Kim explains so well. If you don’t have a certain background you’ll probably feel the same I felt back then. Not being able to see the forest between all the trees. There is also a free IOS Version of the guide which is really well made – and free. A no-brainer if you have a fitting device. I actually bought the printed version as well but am not that keen on it. Maybe because the App is just too good to be true. And free, did I mention that? Get a Japanese dictionary for your mobile phone and tablet. No matter if you’re using Android or iOS there are many different Japanese dictionary Apps available and they are more or less all offering the same. At least they’re all referring to the same database of words. So, in the end, it’s a matter of preference which one you like to use. Or rather a matter of style. I tried out a couple of different ones but stuck with Midori and am using it now for a couple of years. I really like that the App is already searching for the word while I’m typing. Makes finding words where you only know the Kanji and you’re not quite sure about the exact reading a lot easier. There are a lot more bells and whistles to this App but I’m using none of them. Built-in list to which you can add your words, Kanji and vocab after JLPT and so on. In this regard, all the dictionary Apps are more or less the same and in the end (again) it just comes down to which interface you like best. Imiwa has been mentioned in the comments and I tried it myself. Nothing wrong with this App either. There is even the functionality to change the language to German or French or Spanish. But not all Japanese words included in the dictionary are available in all translations and some may still be shown with an English translation. It’s free and a great alternative to Midori (which costs a hefty 10$). Download it and try it for yourself. Learning Japanese is a journey that never seems to end. At least for me, it doesn’t. Luckily there is a vast market of neat books and programs out there which make studying the language a joy to do so. I’ve written some articles about nearly all the books I’ve used up to now and always aim to give you a personal feel for the books with the pictures I’m taking. Hope that works. Some stuff which I love to recommend to nearly all stages of learners are the Japanese Graded Readers books. Available from super easy to intermediate. They come in attractive little boxes, each story in a separate booklet, but have a look yourself. 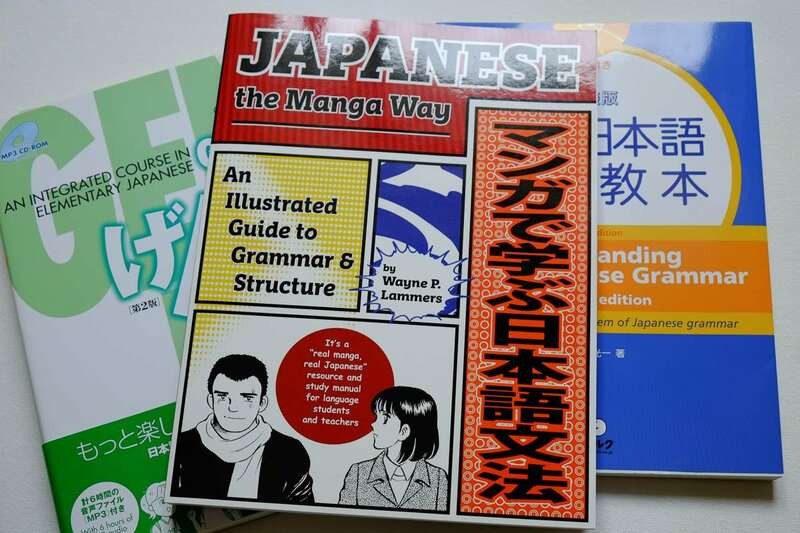 Japanese Graded Readers – When a native material is still far too difficult and frustrating these are an excellent way to start finally putting your newly learned Japanese to some use. You can choose a set from grade 0 to 3 with rising difficulty in grammar, vocabulary and sentence structure. Each story gets is printed in a different booklet and they accompanying MP3 Cd has every little story read by a native. 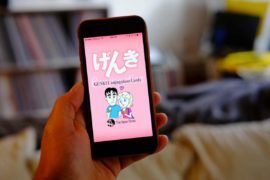 Read manga in Japanese – I made a total of five posts with manga recommendations for Japanese beginners. You should always keep in mind though that every one of these manga is aimed at a native Japanese audience and thus it can be quite a harsh entry if it’s really the first thing you read in Japanese. But it’ll get better over time (like always) and the above-mentioned book Japanese the manga way will help you out a great deal. Nihongo Notes – When learning and trying to understand and speak Japanese you’ll always face the difficulty that you just express yourself a lot different in Japanese than you would do in a European language. Nihongo Notes is collecting all the essays from the column with the same name which run in the newspaper The Japan Times. In fun little stories covering everyday situations in Japan, you’ll learn a lot about how to use different phrases correctly and more importantly about their heritage and true meaning. If you want to slip inside of a Japanese and make sense of all the seemingly random dos and don’ts in Japan these two books are your best bet. – Read the full review. Habitica – If you want to tackle your daily tasks and to-do-lists like they were missions in an RPG this is the website for you. You earn some in-game money and experience points for every task you finished which will level up your character and even allows you to be some neat gear. Join the Japanese Tease guild and let’s tackle some monsters together through learning more Japanese. Moleskine Notebook – Tracking your learning progress is essential to keep you on plan and motivated as well. A technique that works very well for me is just to write down with a few keywords what I learned each day. Or if I have to work through a big bunch of pages in a textbook I’ll write down where I started and finished that day. 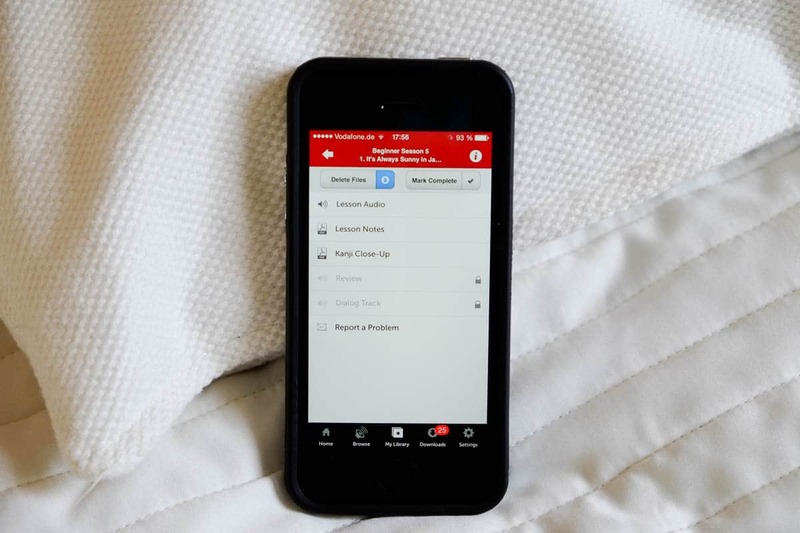 I personally love the little Moleskine weekly planers, but of course, even the note function or calendar on your mobile is up for this task. Defunct. The section for all the stuff I don’t use anymore but once have. Loved these tools at one point but don’t use them in my current state anymore. If you don’t know about Anki yet here us a short description of the best program/app I own. Or at least the most useful to me. It’s a program to make digital flashcards but instead of just having two sides you can do the wildest things with Anki. 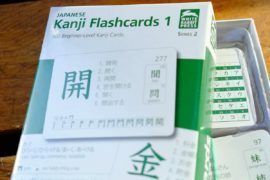 The Ultimate Japanese Vocab Packs by Tofugu support Anki as well and are really well made. With sound files and different forms. Just download Anki and get these Vocab packs. There is no better introduction to Anki out there. A nice feature of Anki is that you can download ao called “decks” by other people directly within the program. So if you decide to tackle the Heisig method for learning all the Joyu Kanji, just search for a deck. Maybe someone else was kind enough to upload his own Anki-deck which can save you a lot of time. And the good part is: You always have the opportunity to customize these decks. Well done Anki! When you finished the essential packs you will have some basic Japanese vocabulary knowledge which will come in quite handy reading stuff like Yotsubato! and Shirokuma Café. But because Japanese is damn complex you need to learn more vocab and I mean: Lots more. I just expanded the Tofugu decks and made additions to them whenever I stumbled across an unknown word. I would advise you to do the same because the tofugu vocab “template” is really well made with the ability to learn the different forms and kanji reading in a breeze. Little tip: Add a field for the te-form within the Verbs template, which will make things much easier for you in the long run. Where do I pick up my vocab? When reading a manga I try to put all unknown words into Anki. Sometimes I skip a few. There is really no need to learn ancient Japanese words when you’re still trying to figure out the basics. You can rather spend the time on the more useful stuff first which you will actually use and come back for fancy vocab a couple of months (or years) later when you have a decent knowledge of Japanese. Of course, there are some places with more useful vocab to pick up than others. Manga may not be such a great choice all in all because of all the slang and sometimes fantasy language (always depending on what you read of course). But Yotsuba with its everyday anecdotes really is a good way to start. I compiled a list of beginner-friendly manga in Japanese which should give you plenty of suggestions.